Broad-spectrum CBD oil has a fuller flavour and thicker consistency owing to its higher plant matter content, making it more suitable for experienced users. It is a truer reflection of the Cannabis Sativa L. plant and retains other naturally occurring Cannabinoids, terpenes and waxes. 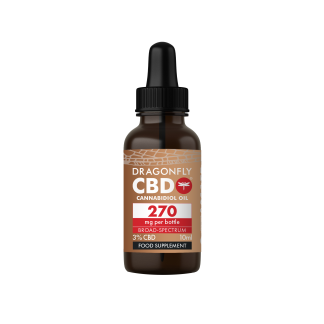 Copyright © 2018-19 Dragonfly Biosciences Ltd. All Rights Reserved. Designed and Developed by MH.